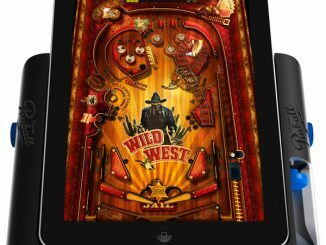 Winning most games only earns you a high score and bragging rights. 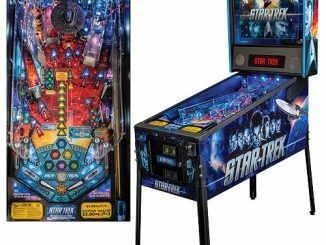 With the Gumball Pinball Machine, you are actually rewarded for winning with gumballs! 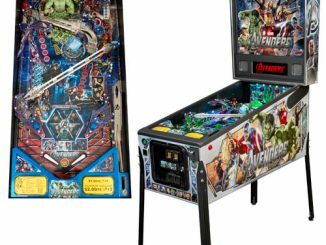 This pinball machine comes with 850 1″ multi-colored gumballs that you load into an attractive display box at the top of the unit. 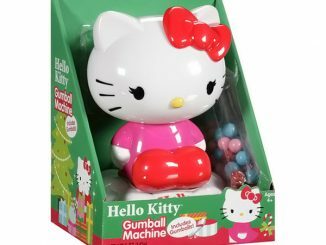 (Order more Dubble Bubble Gumballs at Amazon when you run out.) 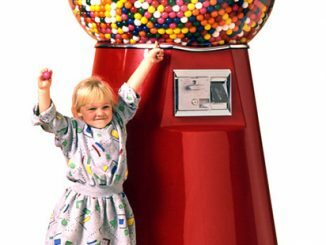 Seeing the gumballs on display makes you want one, and to get any gum you have to play and win. 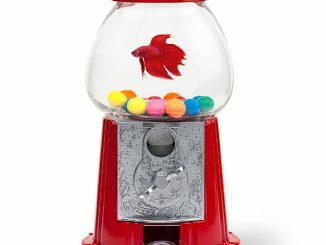 Turn the crank on the coin slot to get things started, and three gumballs drop into play. 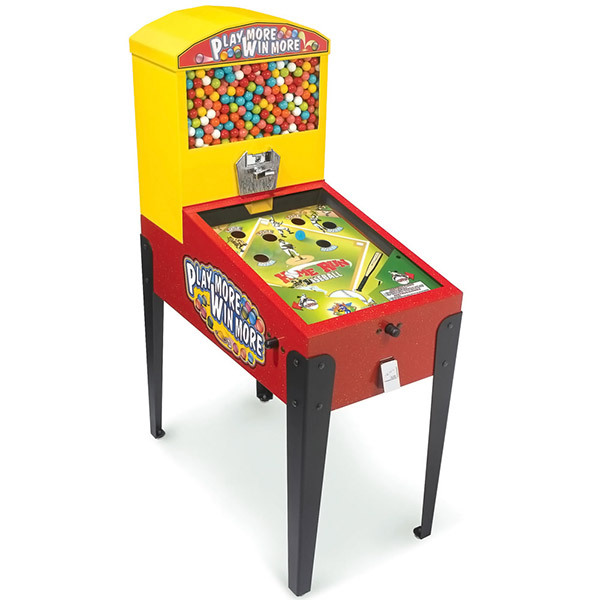 Use the spring loaded flippers on the baseball themed playfield to knock the gumballs into the winning holes. 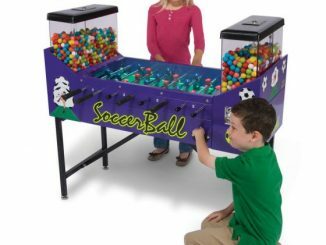 If you score, the gumball drops down to the candy door. 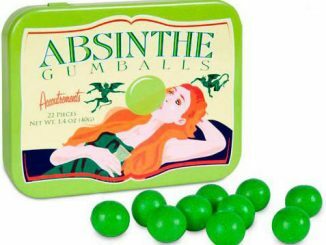 Losing gumballs are stored in an internal container and can later be put back into the main hopper for reuse. 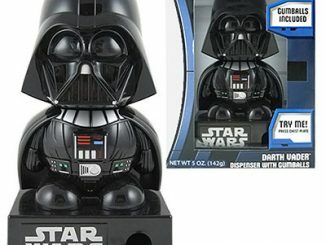 This is the gumball machine that requires the deft skill of a pinball maven to extract up to three 1″ diameter chewy confections. 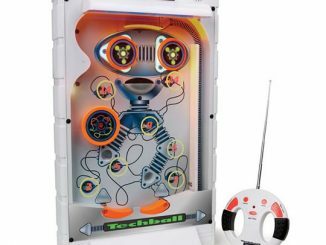 Available only at Hammacher Schlemmer, it has a baseball-themed playing field that includes four “Win” holes and three “Lose” holes. 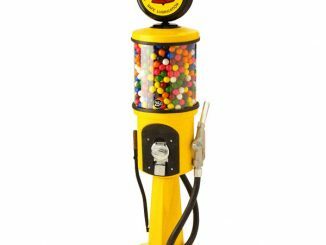 Relying purely on precise mechanical movement without electricity, a turn of the coin slot crank (no coins required) drops three gumballs into play. Made in the U.S. from durable powder-coated steel, tempered safety glass, and Plexiglas. 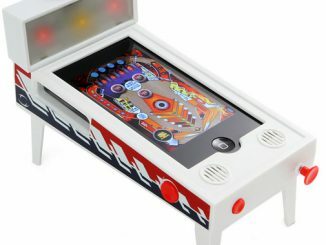 Purchase the Gumball Pinball Machine for $1,000 exclusively at Hammacher Schlemmer.